Chips and dip are one of the all-time best snack foods. They are ideal for super bowl parties, holiday get-togethers, and family events. If you have never attempted to make your own chips and dip, then now is the time. These recipes are so easy that you'll realize you don't need to go to the store anymore to enjoy your favorite snack food. Our roundup of 19 Homemade Chips and Dip Recipes makes it easy for you to find the best recipes. So next time you're having a small party or want to surprise your family, try making your own chips and dip. Your guests will never guess that the food is homemade. 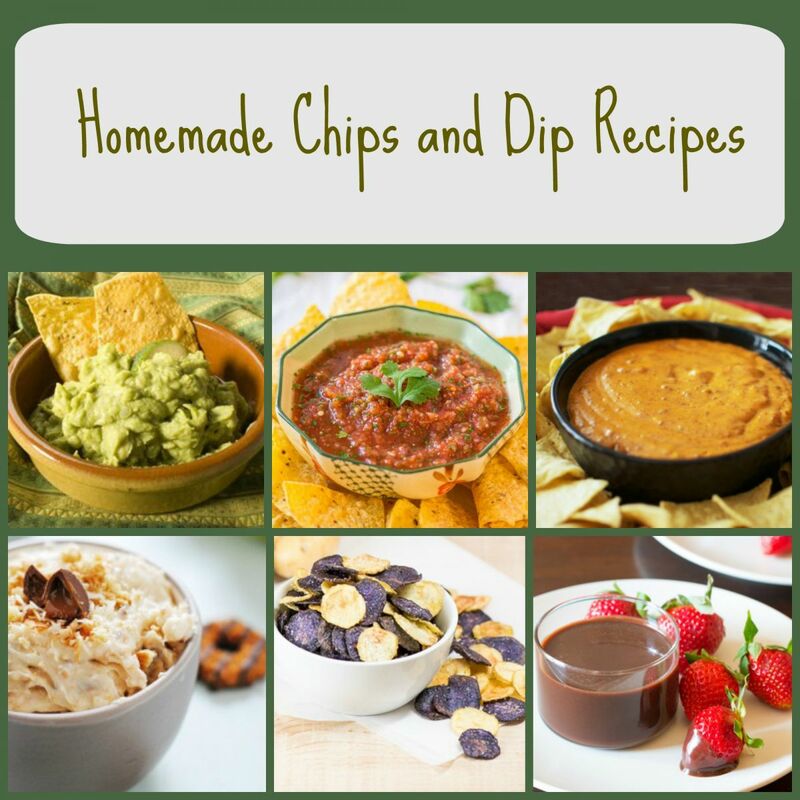 Below you'll find classic chip and dip recipes such as recipes for tortilla chips, potato chips, salsa, and popular restaurant dips. We also have some sweet and fun dessert dip recipes that we think you'll love. If you want even more dip recipes, check out our collection of 26 Easy Recipes for Sauces, Dressings, and Dips. Doritos-Inspired Ranch Chips - These crispy chips taste a lot like homemade Doritos. Homemade Tortilla Chips Recipe - These homemade tortilla chips are the perfect companion to any salsa or guacamole. Homemade Fritos - Have you ever tried to make your own Fritos? Now you can have your own homemade version. Copycat Cool Ranch Doritos - If you love Cool Ranch Doritos, you'll adore these chips. Homemade Ritz Crackers Recipe - Now you can make your own buttery Ritz crackers at home. Restaurant Style Blue Cheese Ranch Dip - This creamy, cheesy homemade dip tastes just like it came from a restaurant. Copycat Chili's Skillet Queso - This warm cheese dip tastes great with Nachos and tortilla chips. Easy Restaurant Style Blender Salsa - This salsa is so delicious and easy to make that you'll find yourself making it again and again. Just Like Trisha Yearwood's Charleston Cheese Dip - This homemade dip has bacon bits in it! Serve it with Ritz crackers, and your guests will love it. Applebee's Copycat Spicy Queso Blanco - This spicy cheese dip is the perfect appetizer for a Mexican cuisine meal. Trisha Yearwood's Hot Corn Dip - This classic Southern dip is the perfect dish to bring to a potluck. Easy Guacamole Recipe - You won't believe how easy this homemade guacamole is to prepare. Houston's Copycat Spinach and Artichoke Dip - Spinach and artichoke dip is a favorite restaurant appetizer. Now you can make it at home. If you like these recipes, you'll love our free eCookbook, How to Make Salad Dressing and Copycat Sauces: 12 Homemade Dressing and Sauce Recipes. Samoas-Inspired Dip - The coconut and caramel flavors of one of the tastiest Girl Scout cookies are in this delicious dip. Snickers Dip - All the flavors of your favorite candy bar in one easy-to-make dip. 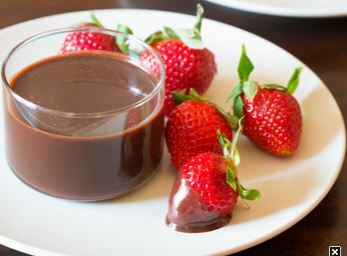 2-Ingredient Chocolate Fondue - This easy chocolate fondue is perfect for your next party. Slow Cooker Dulce de Leche - This sweet caramel sauce makes a great dessert dip or ice cream topping. Homemade S'mores Dip - If you love the warm chocolate marshmallow goodness of s'mores, you'll love this dessert dip.